It's a global epidemic, and there is no way to totally protect yourself. Over three hundred fiftypeople suffer from depression globally. Even though it affects everyone at some point or another, we often think we are alone in our suffering. I'm here to remind you that you are never alone. Depression hurts and is never easy to go through. Depression is a sneaky emotion. It can creep on you and escalate in its magnitude and effects. As you age, you begin to recognize triggers. These are events or people that cause a chain reaction that negatively affect you. Depression is a wild card and doesn't always follow previous patterns. The important thing to keep in mind is that once depression hits you have to let people help you and do your best to moderate and fight it. If allowed to, your mind will keep you in a stage of depression and even grow the emotion into something worse. Forgive yourself for feeling the way you do. It's natural and only a stage of life, it is not permanent formation. The worst part of depression is that it is all encompassing and self sufficient. Once it happens, it takes on a snowball effect, ruining and damaging all aspects of your life. Keeping in mind that life is a miracle and full of beauty, isn't always easy. What really helps me when I can't have faith, courage or love for myself I choose someone close to me that I respect and have faith in. They lift me up and help me recover. 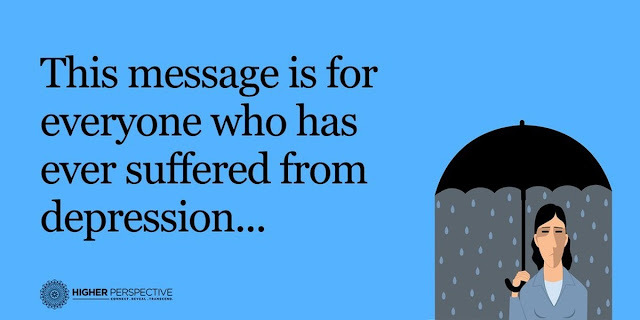 You have to acknowledge depression as being real and not ignore it or try and cover it up.